We focus on in-car digital audio play. 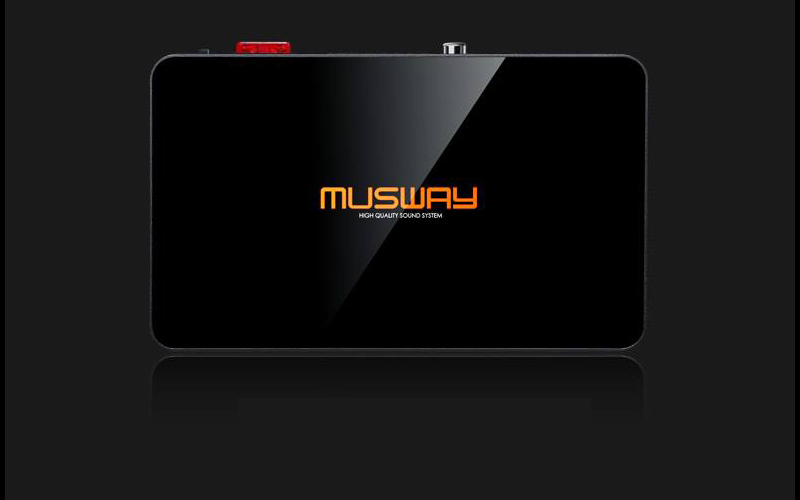 “MUSWAY” is the abbrevation of “MUSICWAY” meaning that we make the best music experience for people on the way. Support 24Bit/192KHz mainstream high bit rate files, such as DSD, WAV, FLAC, ALAC, APE, as well as compressed formats such as MP3, AAC and etc. 4-CH 5Vrms high level output. Support fiber and coaxial raw stream output. Temperature-compensated crystal oscillator and PLL phase-locked loop technology suppresses the clock jitter. Positive-negative power supply & multi level regulated power supply. Can be connected to plug-in mobile hard disk (IT at most), U disk etc. Output of host and player can be freely switched between by relays without any audio degradation to the output of host. CSR Bluetooth Audio Streaming module. 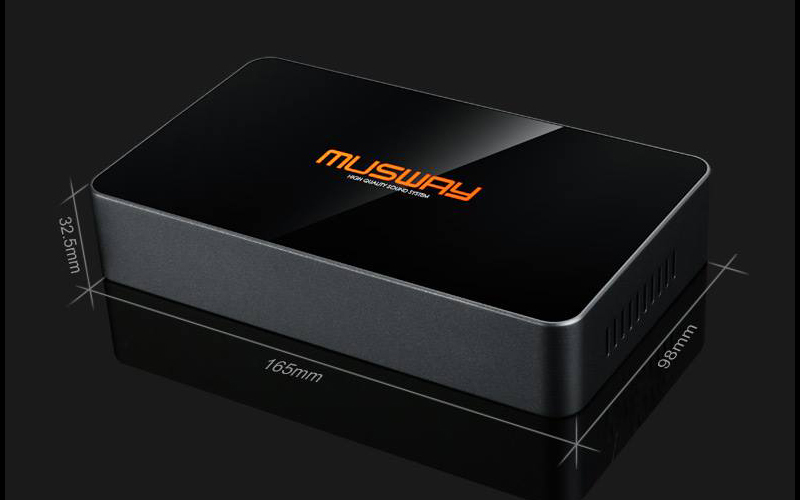 Musway WX provides you with the most options for playing your favorite tunes. You can fill a flash drive with 24bit/192KHz lossless audio files, such as DSD, WAV, FLAC and APE. WX also has built-in 6CH DSP, when it comes to upgrading your car stereo, the WX improves everything. Supports 24Bit/192KHz mainstream high bit rate files, such as DSD, WAV, FLAC, ALAC, APE, as well as compressed formats, such as MP3, ACC and etc. Integrated 6-channel DSP, 10-band equalizer and digital time correction. Support optical digital output, can connect external DSP processor. Can be connected to plug-in mobile hard disk (1T at most), U disk etc. Original host sound and player sound can be switched between. 4G remote controller makes control free from the limit of direction and distance. User can select OLED display or video out according to specific conditions in car. Automatic play from memory at power-on. Built-in 4-CH high-performance high-to-low conversion circuits. 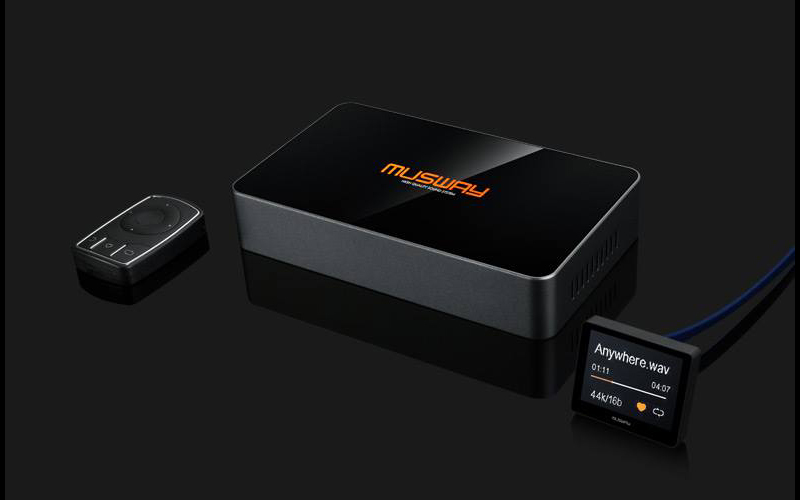 D8 opens up new horizon for lossless upgrading high-medium-end car sound system, especially for BMW, Mercedes-Benz, etc. Developed for high-medium-end cars, lossless install by Plug&Play harness wire. Eight speaker outputs with up to 75 Watts RMS into 4 Ohms, settable in bridge mode. 2-channel Pre-amp output for the connection of additional amplifiers. Dual 32bit, 330MIPS DSP, 31-band EQ and digital time delay. 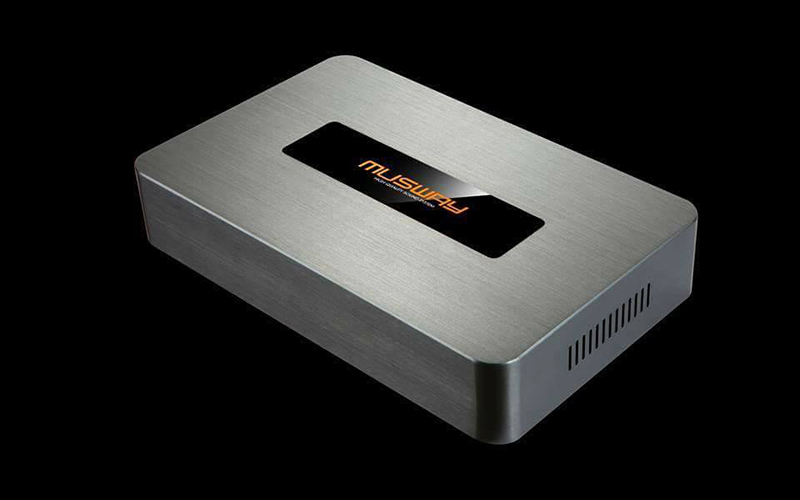 Extremely powerful DSP with virtually limitless sound adjustment options freely configurable via PC-Tool software. 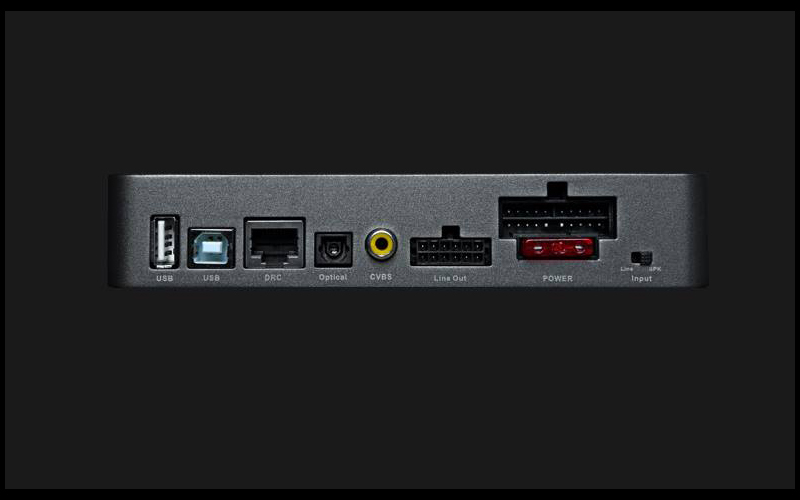 Inputs: 8-channel High Level, 2-channel AUX input, Any of the input channels can be configured and mixed. Perfect pprotection and heat dissipation guarantees reliable and stable performance of machine. Get your Musway Quotation Now!